11010001 JNC The JNC mnemonic is used to perform a conditional jump if the Carry Flag is set to 0. 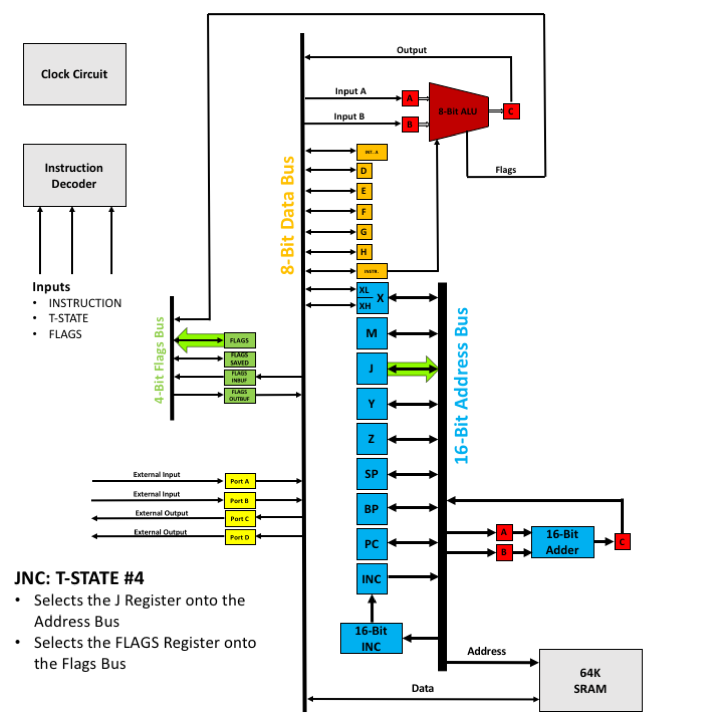 The 16-bit long memory address is taken from the J Register. 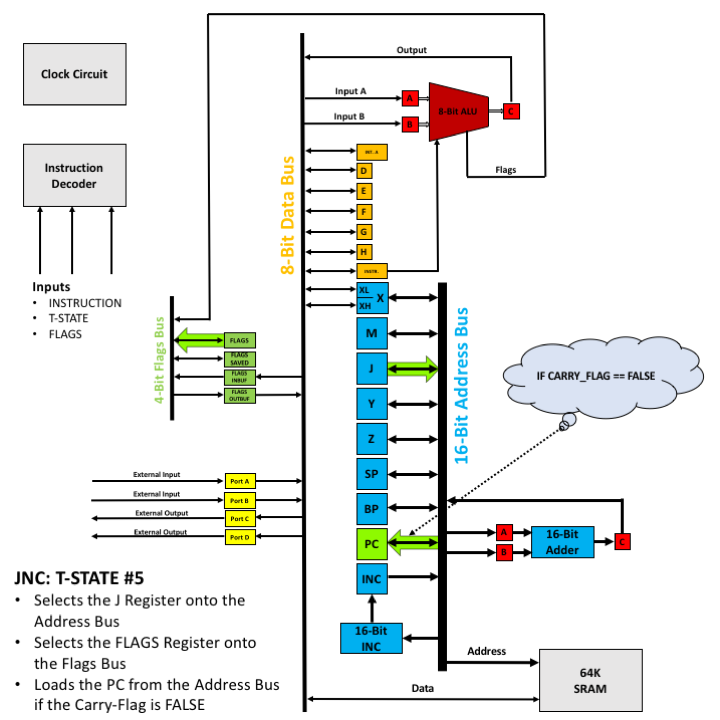 The following animation shows how the JNC opcode is executed physically on the CPU.